Is this why Apple didn't call the Apple Watch the iWatch? Home Apple Is this why Apple didn’t call the Apple Watch the iWatch? Is this why Apple didn’t call the Apple Watch the iWatch? When rumors say that Apple will announce a new product, the first letter that comes up to people’s mind is the “i.” This is because Apple usually names its products by putting an i in the front of the name. We can see this with the iPhone, iPad, iPod, iMac. Because of this many of us were expecting the Apple Watch to be called the “iWatch” before Apple announced it. As noted by CNBC.com, the reason why Apple didn’t call the Apple Watch the iWatch is because the company does not have the right to use the word iWatch. The iWatch trademark is already owned by other companies around the world. In the US, the iWatch trademark is owned by failed Fresno, California-based OMG Electronics. The California-based startup has owned the iWatch trademark since 2012. They legitimately planned to released a smartwatch in 2012 by the name of ‘iWatch.’ The company ran an Indiegogo campaign from September to October on 2012. Unfortunately for them, the campaign didn’t do too well. During a one-month period, OMG Electronics only received $1,434 out of the asked $100,000 to mass-produce the smart watch. Probendi Limited hereby informs to be the exclusive holder of the Community trademark “iWatch” No. EU007125347, registered for computers and software effective as of August 3, 2008. 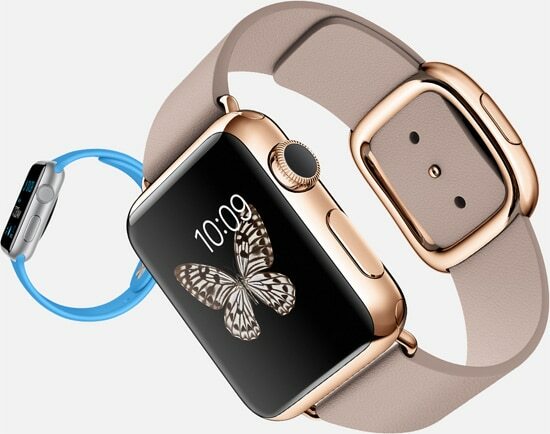 Consequently, Probendi Limited is the sole entity lawfully entitled to use the name “iWatch” for products such as “Apple Watch” within the European Union, and will promptly take all appropriate legal actions to oppose any unauthorized use of “iWatch” by whomever for that kind of products. Although Apple also uses their name in front of their product, like the Apple TV, this is likely the biggest reason why Apple decided to put Apple instead of ‘i’ on their watch’s name. Trying to obtain the iWatch trademark would’ve delayed the Apple Watch announced and release date.